A rain garden captures rain from frequent events that generate 1.25” rainfall that generates runoff from roofs, driveways or yards. It is a depression or a shallow bowl made in the landscape that is level from side to side and end to end. 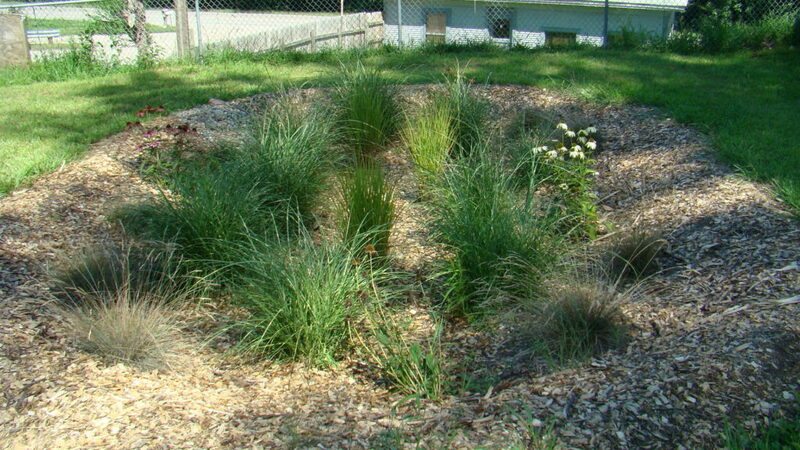 Runoff that travels to a rain garden is temporarily ponded - but it doesn’t stay ponded for long. Capturing runoff in a rain garden allows water to infiltrate into the soil rather than run into streets and storm drains. Dirty runoff that enters storm drains is sent directly to “receiving waters” - our rivers, streams, lakes, ponds or wetlands. Rain gardens are an infiltration-based storm water management practice that relies on soils with good percolation rates to help manage rainfall. By installing rain gardens, homeowners can create landscapes that add beauty, wildlife habitat and interest to a yard while helping manage storm water more sustainably. Rain gardens are a key practice for creating landscapes that are both beautiful and hydrologically functional - that is - landscapes that hold and infiltrate rainfall rather than generating runoff that causes water quality problems and contributes to flooding. They consist of a depression in the soil, soils in the bottom are often amended with compost and sand, vegetation, mulch, edging, and inlet and outlet for larger rainfall events. 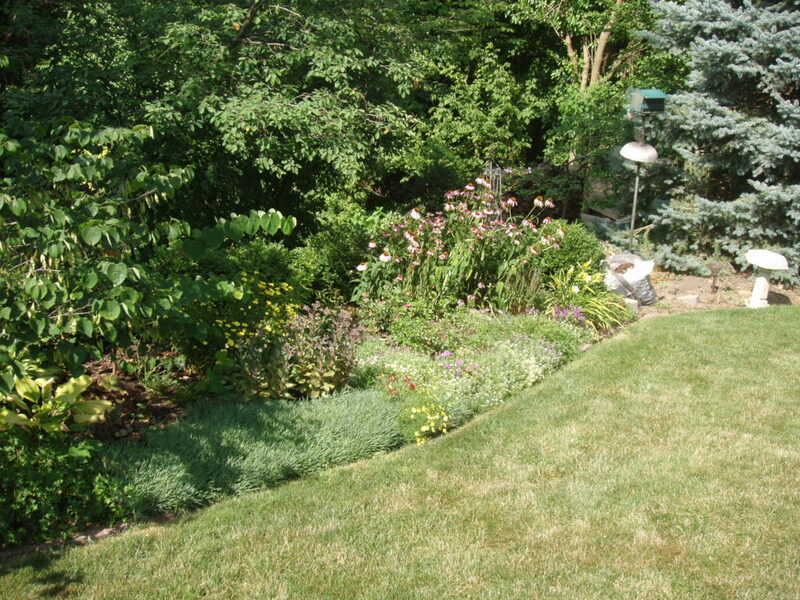 The secret to most Rainscaping practices, including rain gardens, is good quality soil. If an area of good soil with adequate percolation rates exists on a property, it may be an ideal place to locate a rain garden. A rain garden is defined as a landscaped depression that captures runoff from a property and allows it to drain slowly, over a period of 12-24 hours. This allows time for plants to use the water and for pollutants to be filtered as the water seeps into the soil. To manage the water falling on a property, including the rooftop and driveway, design the garden to percolate the runoff generated from a 1.25" rainfall. This amount of rain equates to 0.78 gallons of water per square foot of drainage area. When deciding upon the size of garden to build, determine the approximate area of the impervious surfaces (i.e. roof, driveway) and multiply it by 7 - 20% to calculate the size of the rain garden. Located them at least 10 feet from building foundations on the downslope side of the yard. The bottom of the rain garden should be level from side to side and front to back - no sloping bottom. There should be at least 6" of ponding depth, allowing the runoff time to percolate into the ground. Plant native plants with deep roots to help maintain soil quality and good infiltration / percolation rates. To learn more, please refer to the Iowa Rain Garden Manual.